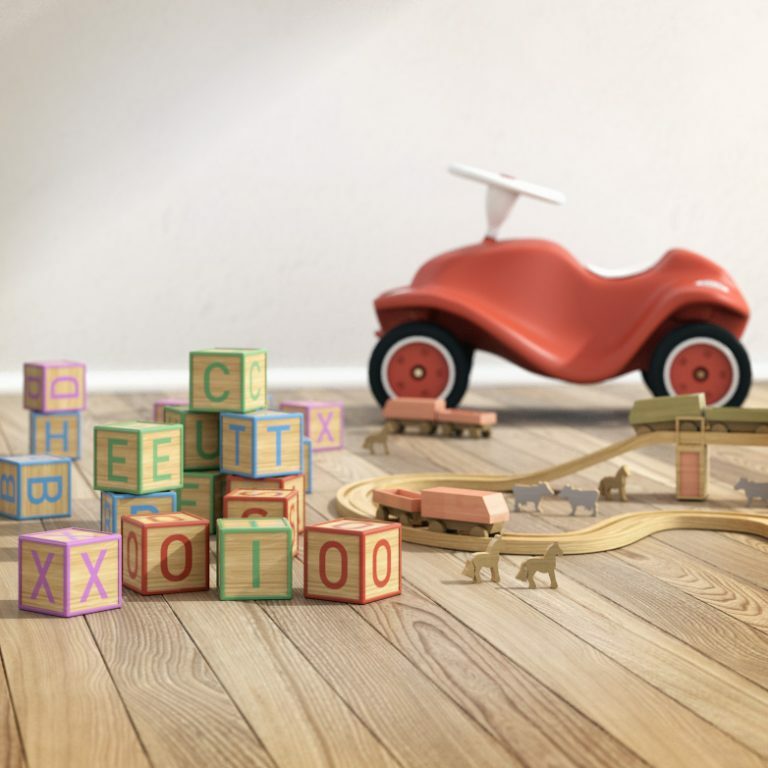 Unreal engine 4 is our new toy! 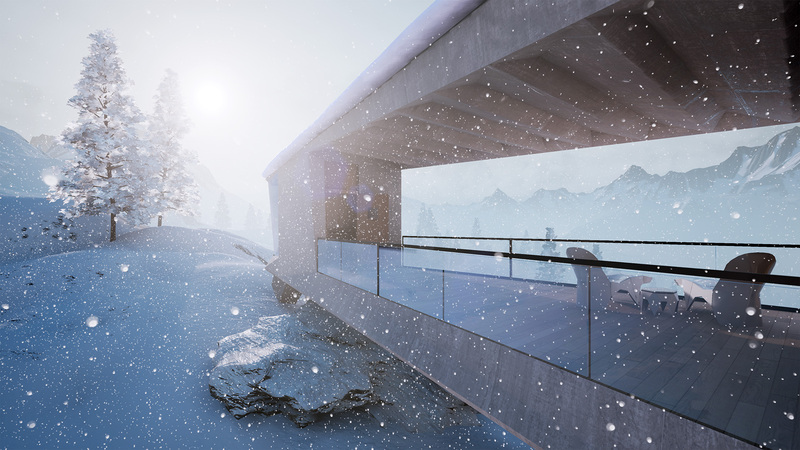 We took up the challenge to create this interactive scene of a winter chalet, which we now can show to you! 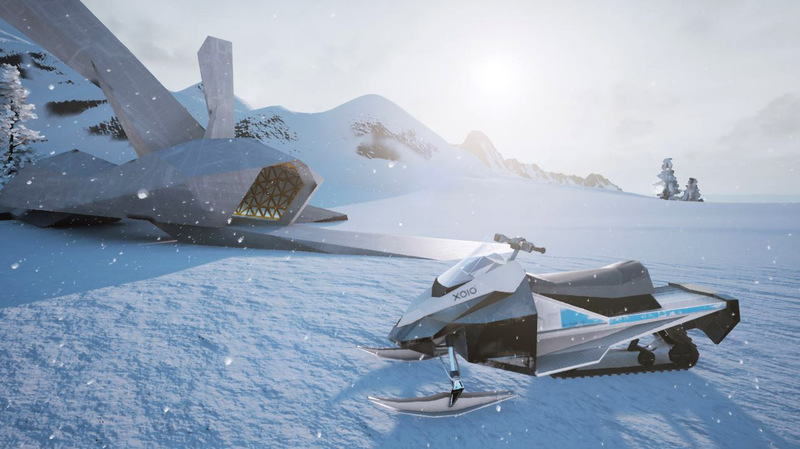 Situated in a vast snow landscape this piece of enigmatic architecture is open to be explored. 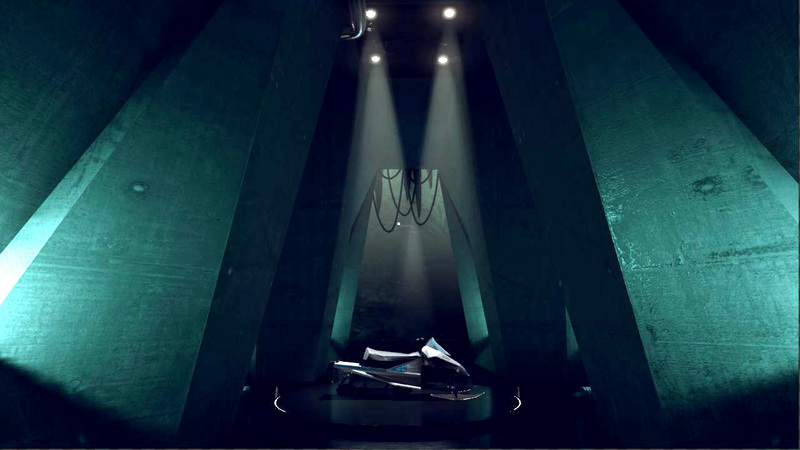 Can you unlock the secret chambers of this place? 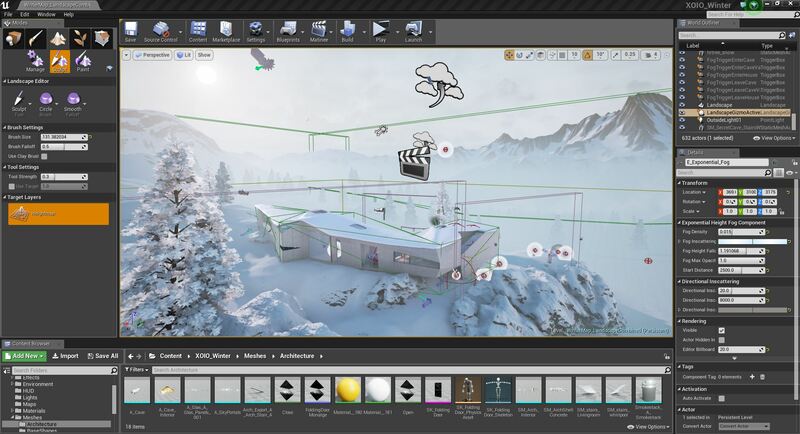 Editing your scene inside UE4 is a pleasure, a true WYSIWYG experience. We conceived this interactive scene from scratch as our x-mas special 2014. 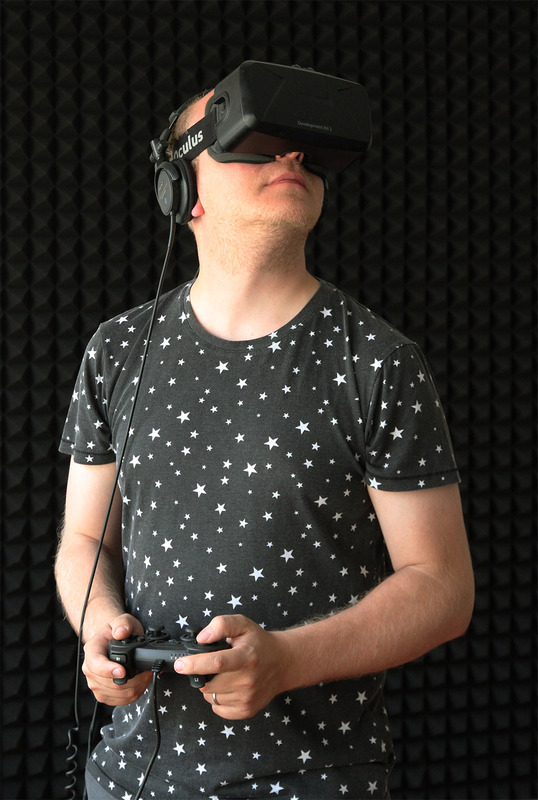 Conceiving an interactive experience is quite something different indeed. So why do we publish this here? We want to give a basic idea what a small team of 1-2 people can achieve in a realistic framework of a few weeks. Altogether it took us a couple of months, but we worked maximum 1-2 days per week on it. Surely the scene could be further refined and polished – no doubt. But we had the feeling that half a year of tinkering with this place was enough and wanted to move on. How do you guide the spectator? How do you keep him interested to explore? How do you avoid disorientation? How do you improve navigation and ease of use? In the end we want to celebrate the fabulous Unreal Engine here! Epic gradually made their great platform available to everybody and since 2015 it is completely free to work with. Up to the point of commercial success, you can play with this magnificient software as much as you like – only if you really profit from selling your product, you are required to give Epic its fair share. Let me emphasize this: In times of increasingly awkward software licensing procedures this is a very fair policy ! And last but not least all the people we met so far have been extremely helpful and kind. Thanks again for making this possible for us! Anyhow we hope you enjoy our little interactive experience. Can you solve the little enigma – leading you to the secret outpost ? 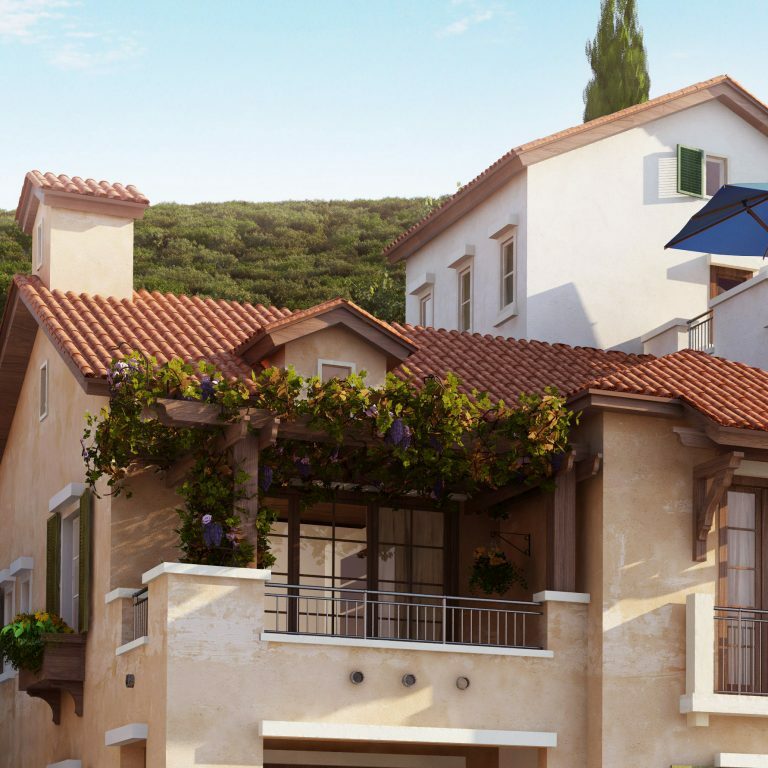 We are happy to hear your thoughts! The snowspeeder is a hidden little feature that waits to be found :). 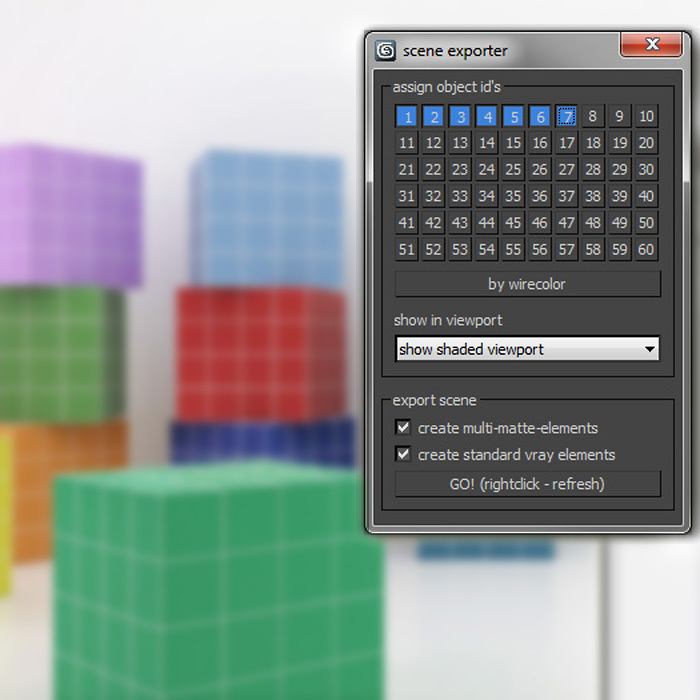 Well, honestly it must be mentioned that this 3d-scene requires quite a powerhorse of a PC to work fluently. Sorry, beginners fault, I suppose. You are still able to reduce the resolution in the main menu when you experience serious lacks. But it can be run on an Occulus, if you have the luxury and do own one! 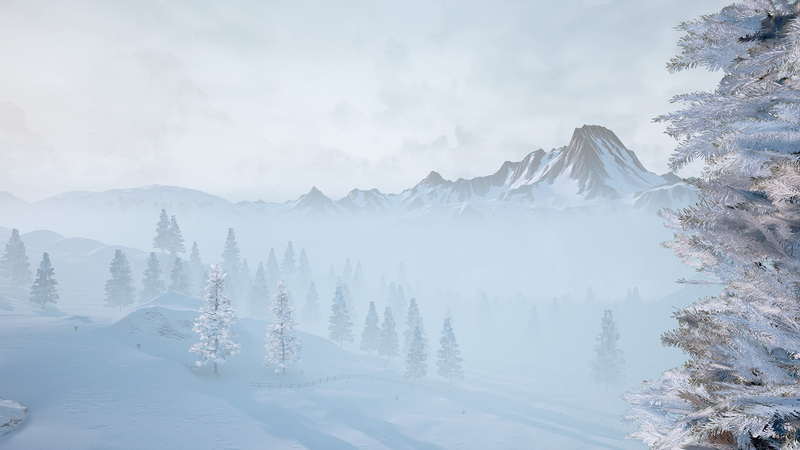 Atmospherics in Unreal – truly speaking for themselves. Hmmm … so where might this room be found ? come on, release the .uproject! share with the community! This is a little gem guys. Thanks for sharing. 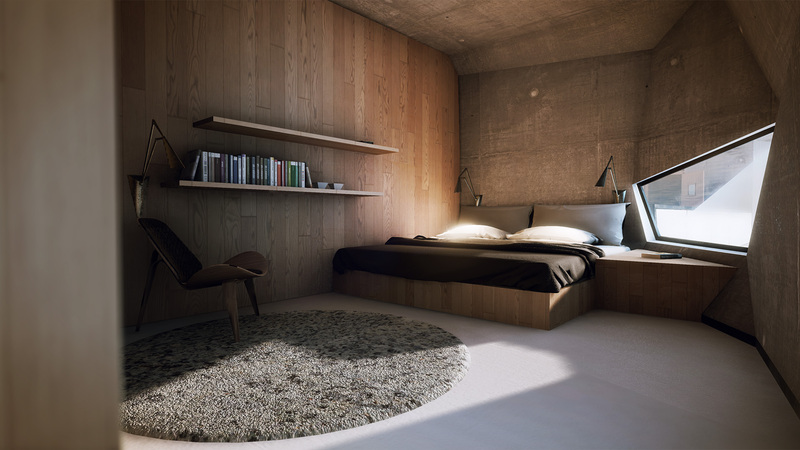 I've been using Unity for a few years, but wouldn't mind taking a closer look at the Unreal Engine after seeing this. So beautiful! Everything works fine here. Frame rate is a little low with Oculus Rift. GTX970 with 4Gb VRAM, should be good enough but maybe not. If you can optimize your scene a little bit that will be even better! Great work! If it gets minimized, be sure that you quit teamviewer before starting. Sadly it's a common bug with UE4 and Teamviewer. I haven't found a solution yet for it either. I really enjoined this guys! but what really caught me in was your little riddle to find the snowspeeder, Once you start developing in realtime it's tempting to jump into the gaming world. Way to go XOIO! "We want to give a basic idea what a small team of 1-2 people can achieve in a realistic framework of a few weeks. Altogether it took us a couple of months, but we worked maximum 1-2 days per week on it. Surely the scene could be further refined and polished – no doubt. But we had the feeling that half a year of tinkering with this place was enough and wanted to move on." So, was it a few weeks, couple months or half a year? amazing work, mate! I praying for your success! Were all of these assets created before hand or did you two create it within the 2 month period (such as blender for modelling, photoshop for textures, etc.) If so, what did you guys create these models/textures with? I guess, most of it was indeed done during the two months, since we did not have any realtime content yet. Awesome work!!! Please share the uproject for the community!! I feel so proud that I could find the snowspeeder. Really inspiring and realistic! Keep up the good work! Let’s learn from the pro! 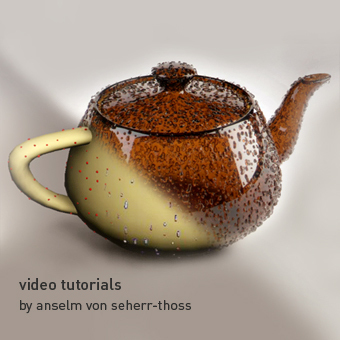 Here are some particle-tutorials Anselm kindly shares with us. 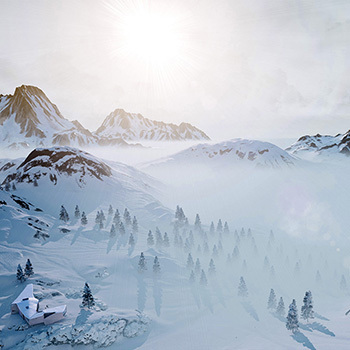 Wander across vast snowscapes and discover the hidden chambers of our 007-winter chalet? 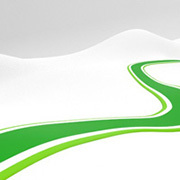 Want to put some roads on that landscape? Here we show a fully flexible setup, how to do it! Winter is coming. And when it finally does these two characters might just be helpfull to be put into your scene. In true Xmas-spirit we share this set of fine toy classics for free download and commercial use. 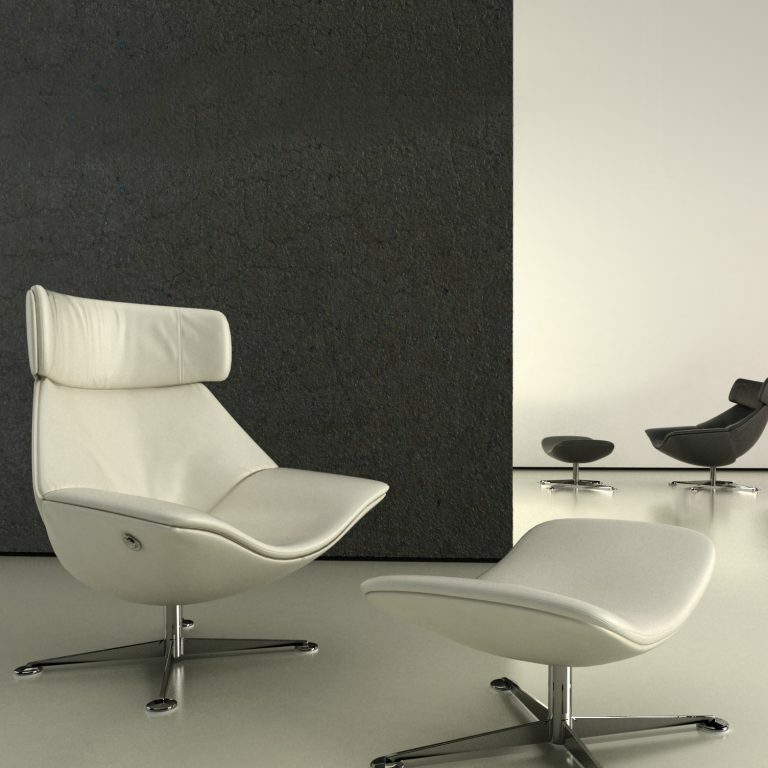 Find here the timeless Egon lounge-chair from Walter Knoll.